It came to me when I was young. It was a small dog, eager to please. I was facing a difficult time, and it felt good to have a puppy with me, to help me through my sadness, to help me adjust to a new environment. And it did really help, giving me joy even though I shouldn’t have indulged it. I had no one to speak to, as I didn’t know who to speak to. The puppy gave me direction, and I fed it, petted it, and watched it grow. As I grew older, the puppy never left me. It was my constant companion, always there, always ready to give me a short bark. It was a jealous pet, and when I spent time with it, it never would allow me to spend time with others properly. It’d demand my attention, and I’d have to spend my time solely with it. I can’t say it wasn’t enjoyable. After all, I knew not what other ways I could indulge myself. “Stay private.” “Don’t talk to others how you really feel.” “Hide your emotions.” When I struggled, the dog gave me solace. 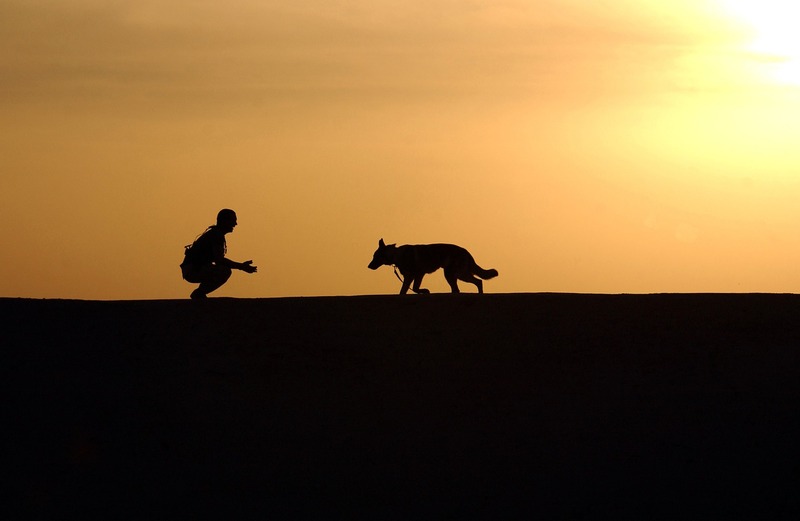 When I fell, the dog was ready for me to fall into its embrace, and it would lick my tears, and soothe my wounds. On occasion, I actually looked for it. It felt perversely good to indulge in having a forbidden pet. And when I cried, when I was called weak for crying, or weak for showing my emotion, the dog never minded. I cried to it. I spent time in its embrace. I started work. The dog, by now, was ever present. I came to Christ, but the dog still was around. Even when the messages started getting confusing, the dog was ever constant with me. He was always there to fall back on, and when I fell back on him, I had a constancy, a base, a solid platform on which I could reorientate and understand the world from. I got used to him and took him for granted, until one day. He swiped at me with a paw. I’d not realised just how big he’d gotten. He catapulted me with that one swipe into the weeds. I was dripping wet, sore, hurt, angry, and surprised. I didn’t know he was capable of harming me. And I took a look at his teeth and shivered. He growled. I sought medical attention, of course. That helped the external wounds to heal, and I got back up. I began to look at the dog in a new light. I recognised the danger he represented towards me. I saw that glint in his eye, that sharpness of tooth. But I was too used to him, fed him too frequently, leaned on him too often. I didn’t know what to do without him. I had to live with that danger. For a while, he proved reliable. Being big, he was comfortable to lean on. He licked me. He seemed to like me in return. The relationship worked. He continued to grow, and I didn’t know how to stop him from growing. When he hit me again, it was so sudden, so unexpected. This one knocked me out almost cold. He slavered over my face, promising only more damage, and harm. He wanted my life itself, and I didn’t know how to answer him. I had to give him what I could. But nothing was enough. Walks in the park. Ignoring him despite my pain. Running away into games and music. He stalked me, and I didn’t dare to look at him, but I knew, just knew the look that would be on his face. Until that day I had had enough. I turned to face him. Exposed my neck. Tears falling in my heart, breath coming short. Resigned. Defeated. But he didn’t know I had one last card up my sleeve. Someone was watching. Someone guided me to hide that last card, and as it was dealt, I was drawn out of his reach, snapped out of his reach like on a bungee cord. And he howled, screaming his defiance and defeat, even as he snapped his teeth shut on empty air, and I cried out of sheer relief that it was all over. It isn’t over. He still stalks me. He still has the power to harm me. But as I watch him, he’s shrunk since I last saw him. He can’t kill me with one bite anymore. But his grin is no longer a friendly one. His teeth are bared every time I look at him, and sometimes, his paw smacks into my side. I grunt in pain when that happens. It hurts, oh it hurts to be hit. And his jaw sometimes snaps shut near my face and I shudder at what might have been. My old friend has become the enemy. But more people are watching now. They’re watching me, reaching out to me, putting salve on my wounds, yelling at the dog to keep back. The same Person who guided me is also here, behind me now. He holds me back from reaching to that dog, from finding my comfort in that dog. My happiness does not lie there, nor does my future. I still stand, because of all the hands, all the people that support me, that are throwing sticks and stones at him, and most importantly because the Person is holding the dog at bay. But it’s not easy. I’m so used to it, and I do miss the good times with the dog. And the Person doesn’t see fit to chase the dog away at one go. The Person has some reason for this, and the very least is that I need to learn to lean into this Person instead. He’s a much better confidante than the dog. And He doesn’t bite or hit. He might raise an eyebrow though. Or stare at me. Somehow that’s scarier than the dog’s growl. But I need to exercise my muscles more. To learn to lean, to not feed the dog. I’ve been helped to this stage, and I need to continue fighting off the dog. More and more I’ll learn to do this. More and more, I’ll be granted the ability. For now, I reel into the Person’s embrace, and cry when I have to. One day, perhaps, I’ll win over the dog. But not today, and never on my own.